Nielsen’s Global Trust in Advertising Survey carried out for more than 30,000 consumers in 60 countries, revealed that the action taken on ad formats exceeds the trust in ad formats. 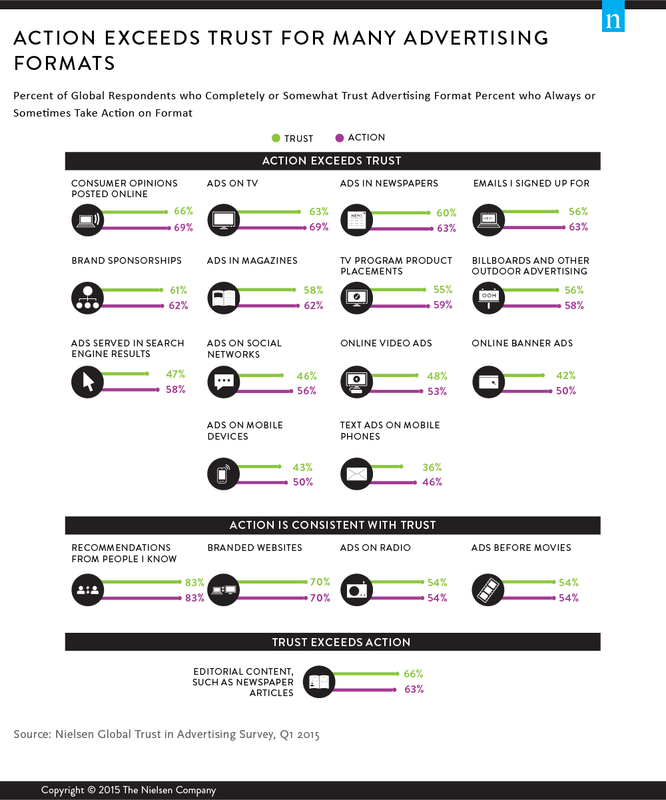 The most trusted advertising is recommendations from friends and family followed by brand owned channels and consumer opinions posted online is the third-most-trusted format. People’s recommendations are the most trusted form of advertising. More than eight-in-10 global respondents 83 percent say they completely or somewhat trust the recommendations of friends and family. But trust isn’t confined only to the inner circle. In fact, two-thirds 66 percent say they trust consumer opinions posted online—the third-most-trusted format. Brand owned channels are the most trusted advertising formats. In fact, branded websites are the second-most trusted format, with 70 percent of global respondents saying they completely or somewhat trust these sites. In addition, more than half of respondents 56 percent trust emails they signed up for. More than eight-in-10 global respondents 83 percent say they completely or somewhat trust the recommendations of friends and family, while two-thirds 66 percent say they trust consumer opinions posted online. Humorous ads resonate most strongly in Western markets; health-themed ads are rated highest in Latin America and ads depicting real-life situations are most appealing in Asia-Pacific and Africa/Middle East. High-energy and action advertising themes resonate more with younger respondents, while pets and animal-centered ads resonate more with older respondents. 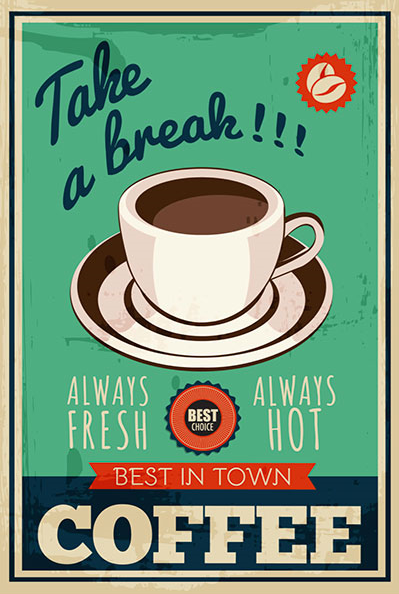 Posted in Ads, Brand Strategy, Digital, Insights. Tagged advertising, Campaign, Digital, Marketing.